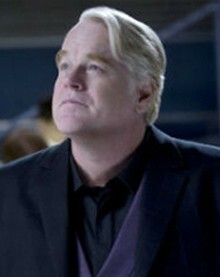 Film and stage actor and theater director Philip Seymour Hoffman was born in the Rochester, New York, suburb of Fairport on July 23, 1967. After becoming involved in high school theatrics, he attended New York University's Tisch School of the Arts, graduating with a B.F.A. degree in Drama in 1989. 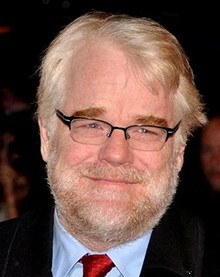 He made his feature film debut in the indie production Triple Bogey on a Par Five Hole (1991) as Phil Hoffman, and his first role in a major release came the next year in My New Gun (1992). While he had supporting roles in some other major productions, his breakthrough role came in Paul Thomas Anderson's Boogie Nights (1997). 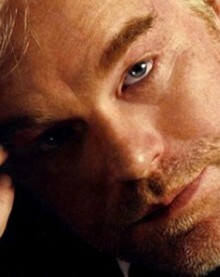 He quickly became an icon of indie cinema, establishing a reputation as one of the screen's finest actors, in a variety of supporting and second leads in indie and major features, including Todd Solondz's Happiness (1998), Flawless (1999), The Talented Mr. Ripley (1999), Paul Thomas Anderson's Magnolia (1999), Almost Famous (2000) and State and Main (2000). He also appeared in supporting roles in such mainstream, big-budget features as Red Dragon (2002), Cold Mountain (2003) and the upcoming Mission: Impossible III (2006).